Stephanie Huffman is an award winning Sales Representative with Royal LePage State Realty and assists both buyers and sellers achieve their home ownership, investment and equity goals. Stephanie has proven expertise in both the residential and commercial markets and is a member of the Real Estate Association of Hamilton-Burlington. Stephanie has been recognized by IAHSP as an Accredited Staging Professional, NAGAB as an Accredited GreenAgent as well as the National Association of REALTORS as a Senior Real Estate Specialist and is a proud supporter of the Royal LePage Shelter Foundation. 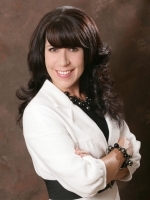 Whether you require advice about selling the family home, buying an investment property, available conservation and energy saving programs or moving to an adult lifestyle community, make Stephanie Huffman your real estate resource!